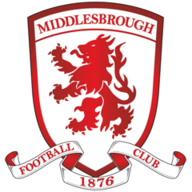 Middlesbrough come from behind to win topsy-turvy clash against promotion rivals in Sky Bet Championship. 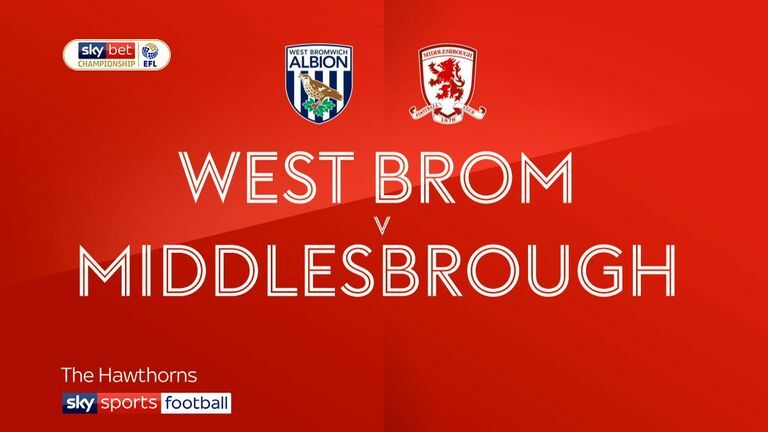 Middlesbrough striker Britt Assombalonga earned manager Tony Pulis a dramatic 3-2 win on his return to West Brom with a late double at The Hawthorns. Assombalonga drew Boro level with a 75th-minute equaliser - 10 minutes after being sent on by Pulis - before grabbing the winner seven minutes from time. Pulis, who was sacked by Albion in November 2017, got the perfect start when George Saville's third goal of the season gave Middlesbrough a 17th-minute lead. But Pulis, who was barracked throughout the game by the Albion fans, saw his side pegged back when Jay Rodriguez grabbed a 42nd-minute equaliser with his 16th goal of the season. Albion then took the lead when Dwight Gayle's grabbed his 15th goal of the campaign in the 63rd minute before Assombalonga's late double turned the Sky Bet Championship game in stunning style. Middlesbrough were indebted to goalkeeper Darren Randolph for ensuring that they did not fall behind after only three minutes. The visitors failed to clear a centre from Hal Robson-Kanu and when the loose ball fell to Gareth Barry his low shot from 16 yards was heading just inside the post before Randolph palmed it away for a corner. The value of Randolph's intervention then became clear when Saville pounced to give Middlesbrough the lead, but the goal was a nightmare for Barry and Albion goalkeeper Sam Johnstone. Johnstone played a pass to Barry in the centre of the pitch but he had the ball taken away from him by Saville, who then surged forwards before firing a low drive past the keeper and into the far corner. Middlesbrough looked set to take their lead into half-time but Albion drew level when Rodriguez showed his poacher's instincts. Albion midfielder Rekeem Harper mishit a shot from the edge of area and it fortuitously bounced into the path of Rodriguez at the far post who stabbed home from close range. Boosted by Rodriguez's equaliser, Albion made a fast start to the second half. Randolph saved Middlesbrough in the 49th minute with a smart stop to deny Harper, who then fired a shot wide two minutes later after Gayle's free-kick had struck the Boro wall. West Brom's persistence was then rewarded when Gayle pounced. Mason Holgate played a cross into the area and Rodriguez got his head to the ball. Gayle reacted quicker than the Middlesbrough defence with a neat finish from 12 yards. Pulis responded by sending on Assombalonga and that transformed the game. Jordan Hugill teed up the striker to score with an angled shot to draw the visitors level and he then sealed the win after pouncing on an error by Chris Brunt. 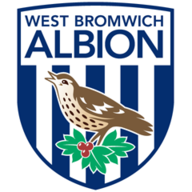 Brunt, who was making his 400th appearance for Albion, miskicked his clearance - the first thing he did after being sent on - and Assombalonga pounced to rifle a shot past Johnstone. Darren Moore: "We learn from the mistakes in the game. Like I said to the boys it is how we respond from here going forward. There will be little bumps in the road but it is really, really important that we learn from it and we get better at it. "Yes, it was a frustrating afternoon but you have to remember that teams will not come here and play open football against the Albion. Teams will come here and get men behind the ball. We have seen it time and time again. As a home team it is a hurdle that you have to try and overcome. I felt we took the game to them but Middlesbrough were resolute as well and you have to give them credit. They stayed in the game and they got their just rewards in the end." Tony Pulis: "Supporters have to do what they have to do. I met a group of supporters last night who were very complimentary and this morning. So there will be people who like you and people who don't. "That is life. Supporters pay their money and they (Albion) wanted to move on and do things differently. That was fine by me. I had a great time here. I have great memories. I think we beat all the top teams. There are a lot of good things for me to look back on and take the positives from and that is what I will do."